Local business technology. We provide website hosting and management and affordable websites so you can stay connected to your customer and your business. We don’t sell products, we offer solutions whether it’s a technology aid or an education program. If you have a need, we try to find a solution to meet that need. Jay attended undergraduate studies at Pace University in New York City majoring in business management and computer information sciences. He has held key leadership roles in product development, business management and senior corporate management in the technology sector. Jay’s blended experience in corporate technology and entrepreneurship led him to found AlwaysConnected Solutions where his “can do” philosophy will result in the company’s quest to provide solutions that bring profound value to its customers. 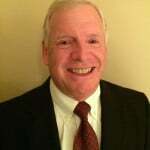 Peter brings over 30 years of business development in the healthcare industry. He has managed healthcare payer and medical providers across the country offering payment integrity solutions to the commercial, Medicaid and Medicare Advantage markets.